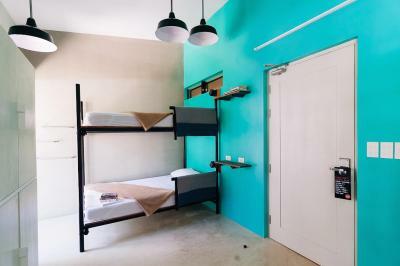 Lock in a great price for Spin Designer Hostel - El Nido – rated 9.1 by recent guests! Love the staff, especially the security guard Jun and the chef who cooked fresh eggs and pancakes during breakfast! one of the best hostels I stayed at in the Philippines. Very clean, comfy bed, great location and great friendly staff, high quality service. 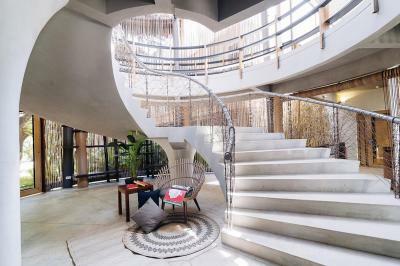 This is a spectacular hostel!!! My best experience ever. The staff is just incredibly friendly, helps you scheduling tours and have plenty of activities all the time. Great free breakfast and very spacious rooms! Big kudos to Mae (front desk supervisor) who went above and beyond to make sure we were always happy with the hostel. They had a special tour (called Tour X) which was one of my best travel experiences! WiFi works great and the hostel facilities are very new and comfortable. Each room has spacious lockers. Can’t wait to go back someday again! From check in to check out, the staff of Spin made my weeklong stay incredible. They are friendly, flexible, helpful and will go out of their way to help you. 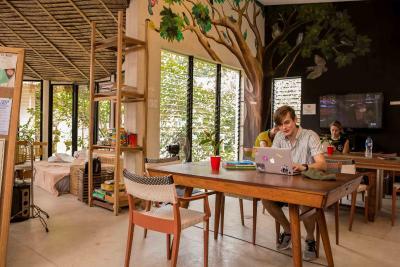 The hostel has a fantastic design, with a nice living area, outdoor patio (where a delicious breakfast is served) and a small kitchenette. The rooms are quite spacious, bed are a bit larger than traditional twin size (amazing! ), lots of plugs, A/C which you can control, lockers with key locks (and well identified with the number of each bed) and great natural and individual lighting. 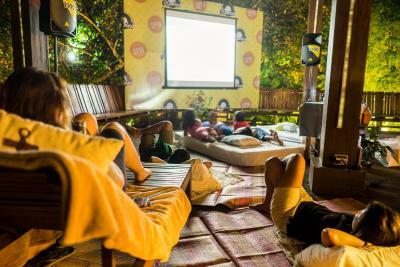 There are events every night, from movie nights to parties. There is a good bar on the premises. The town’s main road is only 3 minutes away from Spin. Very recommended!! I loved it!! Perfect location, comfy beds, amazing breakfast and helpful staff! There is nothing not to like! One of the best hostels in town. The hotel is amazing! Good breakfast. Good staff. The barbecue night was our best dinner in El Nido. Amazing staff, they make the place an enjoyable stay. 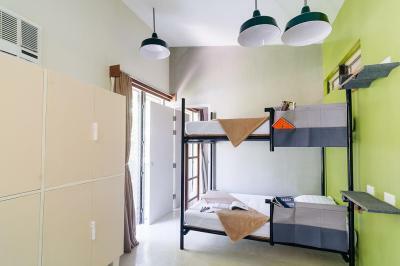 Spin Designer Hostel - El Nido This rating is a reflection of how the property compares to the industry standard when it comes to price, facilities and services available. It's based on a self-evaluation by the property. Use this rating to help choose your stay! 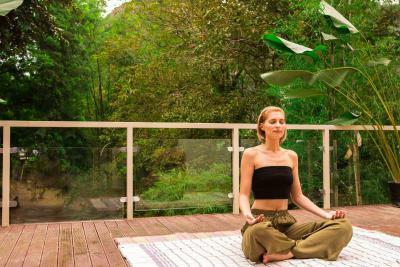 Set in El Nido, 0.9 mi from Corong Corong Beach and 12 mi from Nacpan Beach, Spin Designer Hostel - El Nido is a hip hostel that features a shared kitchen with barbecue facility, a games room, and a common terrace with views surrounded by a lush forest. WiFi is free throughout the property. 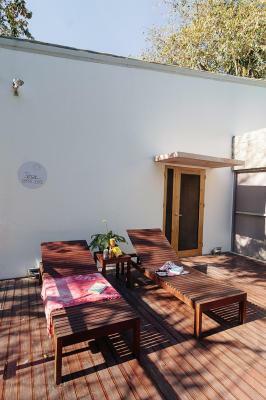 The rooms at Spin Designer Hostel are equipped with air conditioning and a fan. Some rooms have access to the shared bathroom while other rooms come with a private bathroom. Free toiletries, bed linens, and towels are also provided. 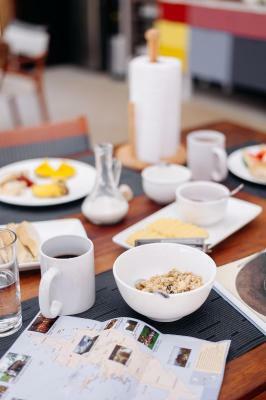 Daily continental breakfast is served at the property while the shared kitchen is available for guests use. There is also barbecue facilities at the hostel. 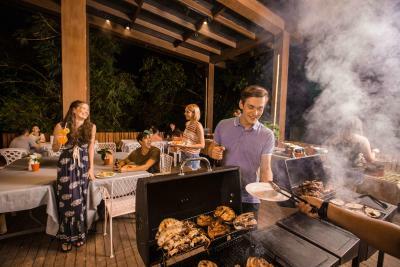 Guests can enjoy daily scheduled activities at the property such as movie nights with free popcorn, beer pong, and margarita nights. Other activities like barbecue, pub crawl, and walking tours can also be arranged at an additional cost. Big Lagoon is 6.3 mi while Matinloc Shrine is 11 mi from the property. 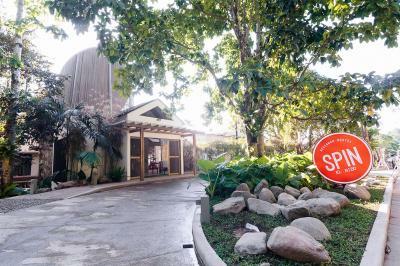 The nearest airport is El Nido Airport, 3.1 mi from Spin Designer Hostel - El Nido. 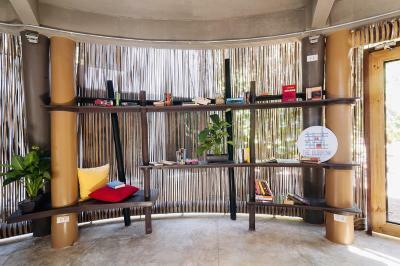 When would you like to stay at Spin Designer Hostel - El Nido? 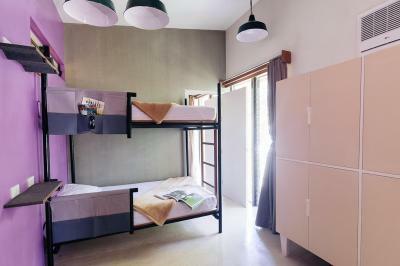 Equipped with air conditioning and bunk beds, this room has access to the shared bathroom with free toiletries. The room also has lockers for guests use. Included in this room is air conditioning, a fan, and a locker facility. It also features an access to the shared bathroom with free toiletries. 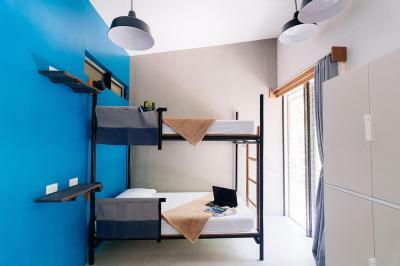 Fitted with bunk beds, this air-conditioned twin room comes with a private bathroom with shower and toilet. Free toiletries are also included. This single room is fitted with air conditioning and a single bed. 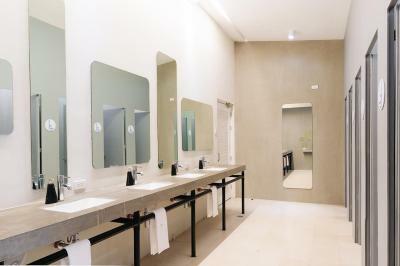 The room also comes with a private bathroom equipped with shower and toilet, along with free toiletries. 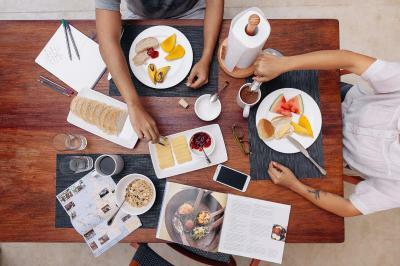 House Rules Spin Designer Hostel - El Nido takes special requests – add in the next step! Spin Designer Hostel - El Nido accepts these cards and reserves the right to temporarily hold an amount prior to arrival. Amazing hostel. Clean, quiet and lovely!!! Communal showers/ bathrooms could be cleaned more regularly considering the amount of people that use it. Also more fans in communal areas, as it does get really hot. There the only two comments I would make for Spin Hostel to improve on. Overall a good stay & would go back. Great location- easy reach to town & beaches. Amazing staff, friendly & informative. Me & my boyfriend first stayed in a dorm, which was comfortable, each got a double bed, locks provided for lockers, air con, clean. We then moved to a private room, which again was clean, comfortable & had air con. Communal spaces were well kept, WiFi was good & lots of things/ games etc to play etc. Breakfast was delicious- I would recommend the pancakes! We also booked our tours through the hostel & again this was well organised & informative. 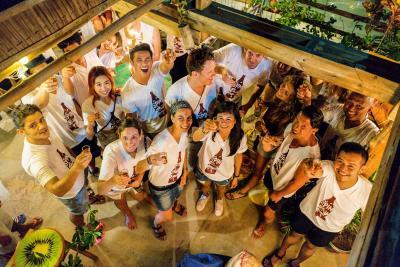 The hostel also put events on for backpackers- bar crawls, cooking classes etc. Decor is a little drab! Can be a little noisy in the shared dorms but that will be dependant on who you’re sharing with I guess! We stayed both in a private room and 4 bed female dorm, both were spacious and clean. Breakfast was to a good standard and staff were welcoming. In terms of location, you are a close walk to all the restaurants/bars but far away enough not to be interrupted by the noise! As 2 females, we felt safe walking to and from town alone in the evenings. 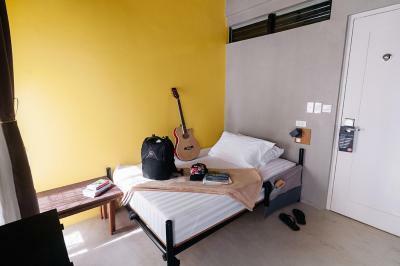 I really liked the hostel - it does have a really cool design as the name suggests; it's very clean and spacious; dorm rooms (with big lockers) are comfortable - I had a very good sleep over there; shared bathrooms are also clean. Breakfast was super yummy! Staff is helpful and friendly. air condition wasn't working , which made me sleep at a different hostel . Location. The design of the hostel. Activities provided by the hostel. Friendly staff that always try to help. Not really that I was disappointed but there were times the hot shower in our room is not working. Buffet breakfast was served every day and the food was delicious. Also walking distance to nearby restaurants and bars. Room was clean and comfy with clean toilets. Thanks to the staff whom allow me to park my rent bike at their property. They even have games and BBQ nights too. Definitely recommended. The hostel was very clean and located conveniently. Breakfast was very good. A little expensive. There are so many good places in El Nido. Excellent breakfast and very friendly staff. Very accommodating. Free laundry. Bed so big and comfy! !